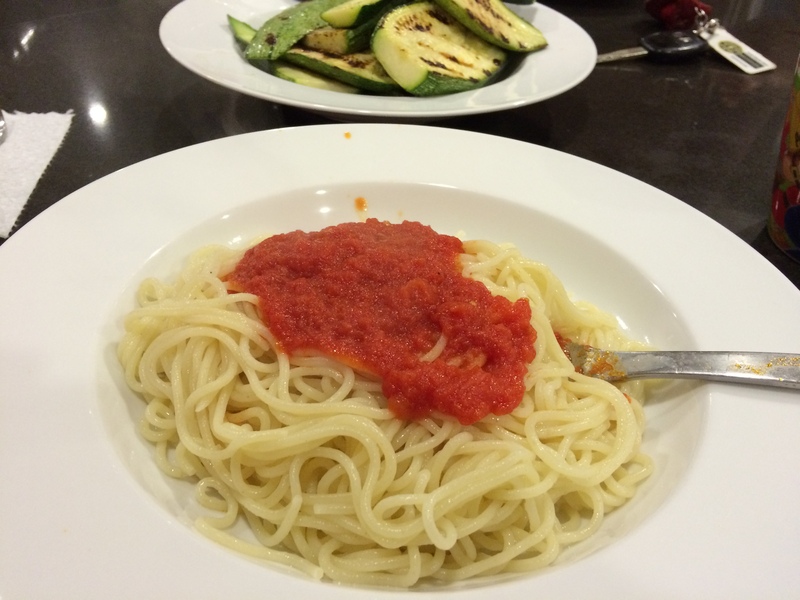 I made spaghetti al pomodoro tonight, but didn’t quite make enough to go around. I ate 200g of the fresh noodles, but probably could have eaten 400g. There’s just not that many calories to 200g of cooked spaghetti (it’s probably only 320 calories or so). I also had an apple turnover, some ice cream, a Cliff Bar, popcorn, and some protein shake, totaling another 1200 calories. I’m going to guesstimate I ate about 2500-2700 calories today. Today was a rest day after biking 270 km last week. I only got on the bike to pick up a bean burrito for lunch. I also walked a few km, including 15 flights of stairs instead of taking the elevator. Click here to see what Jimmy Moore had for dinner tonight.